There’s this thing that’s been buzzing around the past few years – that User Experience (UX) thing. So what’s it’s all about? It’s something you might think your business needs, but you actually know nothing about it. We imagine that this is how some businesses with a small or nonexistent design department feel, and it’s quite common in most industries. That’s why we’re here to help. UX design, also known as Human Centered Design, is the process of enhancing how users interface and interact with the physical and digital world. It’s the philosophy of putting your end users and brand loyalists first. When we consistently keep our end users in mind, we’re able to eliminate our personal bias, develop empathy, and ultimately, better understand our current and potential consumers (users). Only by incorporating empathy into the development process can you create solutions that solve problems and enhance the lives of your users. Imagine the last time you went on a vacation and checked into a hotel. How would you describe your experience? How was the check-in process? How comfortable was your room? Would you choose that hotel again? Would you recommend it, or avoid it at all costs? 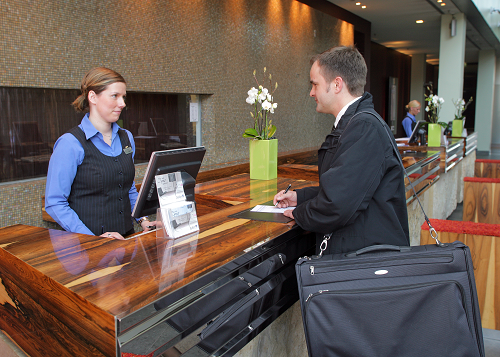 This whole journey of interacting with the hotel represents the user experience. Just as you would improve your consumer’s experience in your hotel, you need to focus on improving their experience online. As UX designers, it’s our jobs to discover problems, design solutions that address those problems, and analyze the results of those solutions. This is UX design. Have more questions on UX design? Tweet us @DEVENEYMKTG and let us know your questions.